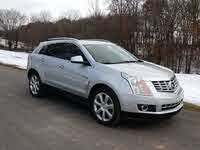 Start a new Cadillac SRX question. 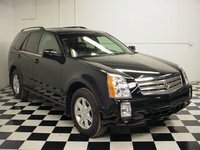 What Is The "4" In The SRX4 Stand For On The Cadillac? 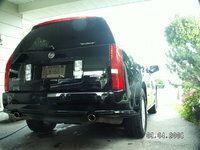 One of the cars listed has an emblem on the left rear that reads SRX4. 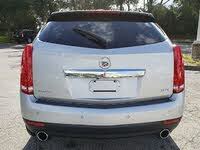 What does the "4" in the SRX4 stand for on this Cadillac model? After changing the battery it will not start. The remote keys operated the doors etc. and all the lights in the dash are it up. ? Pop culture loves a crossover. Just ask fans of the Blackeyed Peas and Allen Iverson. 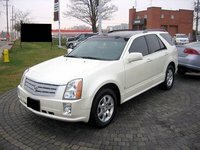 Cadillac has its own crossover in the form of the SRX, the SUV that looks like a wagon. 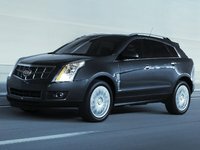 Introduced in 2004, the SRX gives you your pick between a 4.6 L, 320 hp V8 or 3.6 L, 255 hp V6 powertrain. 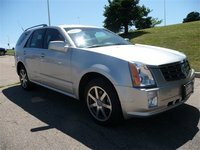 2007 brought a noteworthy makeover for the SRX that included a more luxurious interior, Bose Surround Sound, and a DVD navigation and entertainment system. In addition to the DVD capabilities, sunroof and third row seat come as options. 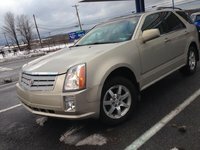 The SRX has 4 doors and has ample room for 7. Regardless of model year, expect to get around 15 mpg in the city and 21 on the highway.